My question is regarding the YouTube strange sounds video posted by Gerard yesterday: http://www.youtube.com/watch?v=FUdZGm476yA On the Strange Sounds blog I posted a response as follows: Not trying to discredit anyone on the Montana video/audio. I believe what is recorded. But I'd really be interested in Zeta feedback on it because it reminds me of what happened in Close Encounters of the Third Kind - the musical sounds that the spacecraft emitted. The sound produced in Missoula is what is called in music a major seventh chord. In the key of C it would be C-E-G-B; in this case with an extra underlying G as the first note. I have a hard time believing that anything in nature could create this without help - possibly ET help. The notes are played separately up the scale/chord and then down the scale/chord. Could the Zetas please comment on what the source might be? Missoula lies in a valley between mountain ranges that are riddled with rivers draining the steep mountain sides. 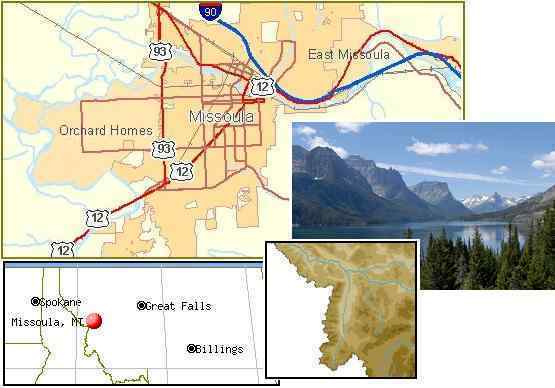 If Kiev has multi-tonal trumpets because the reservoir is vibrating, and Belarus has horns because the river there is vibrating, then why should Missoula be exempt? The regions where the vibrating Earth plays music are where water is being vibrated. Elsewhere, it sounds like a roar, like Godzilla rising from the sea and roaming the land. Noise is sound where every frequency is heard. Music is controlled such that harmonics, or coinciding or duplicating frequencies are heard. That several distinct tones were heard in Missoula, each in turn, only means that the body of water producing them increased its frequency from tone to tone. In Kiev, chords were heard, as more than one arm of the reservoir was set to vibrating. The thrumming or fan beating sound that preceded the Missoula tones was the rock layers being pulled apart, as the N American continent is being pulled into a bow, as we have often explained. As the jerking apart and rebound of the underlying rock layers picked up the pace, the pitchof the music the nearby river produced climbed. Simple as that. Where is this leading? At least half the Earth, at any given point in time, will be having some sort of tension in its rock. Clapping and grinding fault lines, vibrating bodies of water, trembling rock strata resisting being pulled apart, and snapping rock under compression or being bent. All will be noisy, and the most likely reaction among those who hear it will be to conclude that the End Times have arrived. However known in various cultures around the world, allhave some reference to the coming times. The establishment will be unable to explain away these sounds, and once again the Internet will be sought and will lead inevitably to our explanations. Is it the mysterious sound of the so-called coming Apocalypse? Some think that the mysterious sound heard in Costa Rica at around 12:30am this morning is exactly that. Ronny Quintero, a seismologist said the event should be studied at the exact time and location of the anomalies to determine with certainty that there was no earthquake. He added that depending on the location of those who claim they heard the rumble or ”The Hum” it is easy to dismiss the possibility of tectonic movements. This news has rattled the social web whereas Costa Ricans and the world over are scrambling to figure out what this mysterious sound could have been. Authorities have yet to comment on the subject although OVSICORI, the Costa Rica Volcanologist and Seismologist Organization is saying there is no Earth movements recorded at the time of the strange sound. Here is a YouTube video showing how it sounded. It is important to note that this is not the wind nor was it filmed anywhere near the ocean. The sound was heard throughout the entire country from Heredia to Perez Zeledon. Is it the mysterious sound of the so-called coming Apocalypse? Some think that the mysterious sound heard in Costa Rica at around 12:30am this morning is exactly that. It is important to note that this is not the wind nor was it filmed anywhere near the ocean. The sound was heard throughout the entire country from Heredia to Perez Zeledon. The Costa Rica Volcanologist and Seismologist Organization is saying there is no Earth movements recorded at the time of the strange sound. There is a subset of the Caribbean Plate called the Panama Plate, though this subset moves as one with the Caribbean Plate. Nevertheless, there is a fault line running through Costa Rica, and during the incessant pressure of the slow moving S American roll fault lines can pull apart and bang back together again, like clapping. As the recent cold spells in India reveal, the N Pole of Earth is pushed violently away when the Sun is over New Zealand and the magnetic N Pole of Earth (currently over Siberia) comes up over the horizon. This equates to midnight in Costa Rica, which is when the drums were heard. Residents there should get used to these midnight drums, which will be with them for some time. Please collect Strange Sounds, Earthquake-lights and the like, in this Post. The Mysterious Apocalyptic Sound is back. Slovakia 2.April.2019. What Is Causing The Loud Booms In Fair Oaks, Sacramento CA? FAIR OAKS (CBS13) — A series of startling booms are being reported in northeastern Sacramento County. Residents say they’ve been hearing the noises for months and are looking for answers. The tranquility of Fair Oaks neighborhoods is being shattered by some mysterious nighttime noises. Homeowners say they’re being startled by loud booms in the late evening hours. One explosion was even caught on a doorbell camera. The noises are loud enough to set off car alarms and wake people from their sleep. “It rattles the windows, it sounds like a firework going off in my backyard,” said Dallis Stumpf. The sounds are especially startling to those who have kids. “She’s two-years-old and she comes out, ‘mommy what is that?’ and she freaks out,” Stumpf said. The loud bangs have attracted so much attention that a Facebook group has been created to track the times and direction of the explosions. It now has more than 500 followers. It’s louder than fireworks, a transformer explosion or even a train. “This is five times as loud as that,” said Theresa Smith of Lyndon. “The sounds I hear have nothing to do with trains. More like muffled dynamite,” former CSX engineer Scott Gaw weighed in. People living in Lyndon, St. Matthews, Hurstbourne, Graymoor Devondale, Woodlawn Park and surrounding neighborhoods have been discussing mysterious, recurring booms for months. The booms have sparked several active conversations on the Nextdoor App as well as Facebook groups. No one seems to know the source of what they’re hearing, but they agree, it’s loud—sometimes loud enough to shake a house. In January, Barbara Martin says she was watching the football playoffs at a friend’s house in Jeffersontown near the Gene Snyder when two loud booms shook the house. In a quest for answers, some homeowners have started conducting research of their own. Jennifer Whitfield called local utility companies, police and fire departments. Based on reports from neighbors in her area, she believes the source of the booms is within a three to five mile radius of Holiday Manor. “The general time seems to be 8:00 pm to 8:30 p.m.,” Whitfield says. Other neighbors have reported hearing the booms as late at 10:40 p.m. and as early as 4:00 a.m. Some even say they’ve seen a flash of light associated with it. These mysterious booms have been reported in East Louisville during all seasons and at all hours of the day. So, what are they and from where are they coming? WLKY took some rumored theories to the experts. Hodges’ team recommended checking with the FAA to see if anything supersonic was flying through that area at the designated times. FAA Frontline Manager Mike Shaw says he’s not aware of any booms related to air traffic. “If it happened in Lyndon, we’d know it. Our office is off Hurstbourne Lane and we have had no complaints to our office.” Shaw says it’s been at least five years since he’s heard complaints about military helicopters in the area, and he says it’s a much different sound than the boom described. Shaw recommended we double check with Air Traffic Control at Standiford Field. WLKY then reached out to Kentuckiana Seismic & Survey, Inc., once again sending a list of specific dates and times. Vice President Joey Hopper responded saying, “Of the projects that Kentuckiana Seismic & Survey is involved on, we have no blasting projects that were operating in those locations on those dates. Similar responses came from representatives with the Kentucky Transportation Cabinet as well as Louisville’s Department of Public works and Transportation Department: no projects in the area and no known blasting that would cause the booms. WLKY also reached out to officials with Graymoor Devondale Police, Lyndon City Hall and the St. Matthews Fire Department. Representatives from each say they’ve heard complaints—some have even heard the booms—but they did not know the source. A Google search of “mysterious booms” suggests frost quakes could be the answer. A frost quake occurs when underground water freezes and expands quickly. The expansion pushes against soil and rock and can cause the ground to crack, creating a boom. WLKY Meteorologist John Belski says a frost quake is not likely the source of what people in Louisville are hearing. “When Chicago had 25 below they were having frost quakes, and even Cincinnati had a few, but I haven’t heard of any in our area. It’s more of an extreme cold phenomenon,” he says. Another theory that didn’t pan out—local rock quarries. WLKY reached out to Rogers Group Inc, Jefferson County Stone in Louisville. Company representative Scott Chancellor says they conduct underground blasting, “but you wouldn’t be able to hear it. We’re so deep underground.” He says the only other quarries in our area are in Oldham and Bullitt Counties and it’s a similar situation there. Finally, WLKY reached out to U.S. Geological Survey Geophysicist John Bellini, who’s based in Golden, Colorado. Bellini says, “Generally booming sounds are not easily recordable by seismometers. We’re not seeing anything in Kentucky, and we haven’t seen anything in that area for a while. We can occasionally can pick up a booming sound if it’s happening near a seismometer, for example a natural gas explosion, but these instruments are not built to detect booms. Seismometers are meant to pick up movement in the ground.” Bellini double checked his records with four specific reports of the booming sound in our area. WLKY reached out to the University of Louisville’s Geology Department and are waiting to hear back. Widespread reports of a “very intense explosion” Monday 20 miles north of Charlotte in Cornelius are under investigation, according to a statement released by Cornelius-Lemley Fire Rescue. Investigators believe the noise is linked to rock blasting by a construction company in the Bailey’s Glen Subdivision in Cornelius. “The Mecklenburg County Fire Marshals Office is investigating to ensure all proper permits were in place and procedures were followed,” said the Cornelius-Lemley Fire Rescue Facebook post. Residents of the area are continuing to complain on social media that, if that is the source, they did not received proper advance warning. Fox 46 says some described the explosion as a “sonic boom” and said it rattled windows and set off sirens in east Davidson. No injuries or damage has been reported, but frightened people have posted on Facebook that they heard it 10 miles away in Mooresville. “That was very intense explosion,” posted Jenn Hol on the fire-rescue agency’s Facebook page. “Would have been nice to know prior -- before my whole house shook,” wrote April Oates Monroe. “It was insane! !” posted Wendy Raymond. North Carolina is well known for reports of mysterious explosions and in most cases the causes are never found, reported the Charlotte Observer in 2017. Some of the explosions have been blamed on a phenomenon called the Seneca Guns, a term applied to unexplained booms and shakings on the Carolina Coast. MYSTERY booming sounds have been shaking houses and terrifying residents after "flashes of light" were spotted across America. The string of phenomena was first reported last Thursday morning when locals in three separate Tennessee counties reported hearing loud booming noises. On the same day, North Carolinians contacted police reporting unexplained loud blasts and booms that kept them awake at night. Two homeowners said the booms were so powerful that they briefly lost power as a result of the tremors, Mysterious Universe reported. Mary Buck told The Sun Online: “There was a loud boom heard in Gum Spring, Virginia, on Wednesday February 7 around 7pm. “My neighbours and I heard it. We live close to interstate 64 so we just assumed something happened but there were no reported incidents. Similarly unexplained explosions have been reported happening in isolation over the past years, but rarely with this frequency. On Saturday, loud bangs were reported in Rhode Island, where Jeremy Braza's doorbell captured a video and audio of a loud noise over a three minute period. "The whole house shook," he told TurnTo10.com. "It woke my wife up, woke up all my children." "What the heck was that boom or explosion in park slope Brooklyn? ", asked Matt Wasowski on Twitter. Another wrote: "Extremely loud boom in Brooklyn.....? Wtf??????" Some speculated that the boom could have resulted from a manhole explosion, but the true origin is yet to be explained. These booms were followed by "strange cannon-like sounds" in Harahan and River Ridge in Louisiana, where they have also kept residents up at night. Residents say the sounds have been going on for weeks, and nobody seems to know what causes them. While Philadelphians were rocked by a series of mystery booms a week ago, and again on Tuesday. Mysterious Universe speculates that the phenomenon could be caused by cryoseisms or “frost quakes”, which could come about in extreme cold climates. Seems a big uptick of sky sounds in the last few months! Here are a few examples of WOW vids and links of recent months!! Republic Herrenalb Germany, Augusburg Germany like trumpets! People from Mobile and Daphne to Grand Bay and Point Clear reported feeling and hearing a loud 'boom' or tremor across the area Thursday afternoon (Nov 15). Around 2 p.m. Mobile Fire-Rescue received calls reporting an explosion, but after searching they couldn't find any evidence of an explosion or smoke. Dr. Ale Beebe at the University of South Alabama told NBC 15 News that the event, whatever it was, registered on their seismographs (scientific instruments that measure tremors on the ground) as illustrated in the image above. A tweet by NASA indicated that the "boom" could have been from aircraft travelling at super sonic speeds, but that is unconfirmed at this time. NBC 15 News reached out to the Federal Aviation Administration (FAA), NASA, local and federal military agencies. We will continue to investigate the cause and will update as more information enters the newsroom. Daintree residents are still trying to figure out what was behind a massive explosion at 9.30pm last night. “I was in bed and on the phone at the time and there was a sudden explosion which shook my bed. It gave me an incredible fright and initially I thought it was thunder. It was definitely not gun shot,” said Betty Hinton, artist and owner of Floravilla Ice Cream in the Daintree. On social media a Cow Bay resident said they thought the noise and subsequent shockwave resembled a plane crashing creating a stir on the community page. Another resident thought it sounded like a gas explosion and reported they witnessed a giant orange mushroom cloud rising from the area. NANAIMO — There's a long list of things it wasn't, but no one can seem to figure out what it was. A loud bang, described as an intensely close clap of thunder, was heard across the Nanaimo region Tuesday around 11:30 a.m. Hundreds of people reported hearing it, covering Nanoose to Hammond Bay to College Heights. "Heard it and felt it near Lantzville," Jamie Penner said on Twitter, noting it was unlike the sound of blasting coming from his area in recent months. "It sounded like someone opening a big sliding door in an apartment above you." "For me it was like a loud and quick thunder sound!," Donald Louch said. "It was so loud!! My poor dog ran under the bed from the living room. I live in the Townsite area. Clear skies, so I knew it wasn’t thunder," Angela Gasson told NanaimoNewsNOW. Earthquakes Canada said there was some seismic activity in the region around that time, however it didn't have the characteristics of a local quake. "Definitely something has been recorded but it doesn't look like an earthquake," a representative said. It must have been a jet flying out of the Comox air base, right? Nope. A spokesperson for 19 Wing Comox said they did not have planes in the air or operations planned for that time Tuesday morning. The same response from CFMETR, the maritime test facility in Nanoose Bay: no operations, American, international or otherwise on the schedule. Nanaimo Fire Rescue said they were not called to any fires or explosions. Nanaimo RCMP said they received several calls about the noise. Dispatchers touched base with BC Hydro, Fortis, Telus, Shaw, and the Department of National Defence and received the same answer: it wasn't us. Many people speculated the boom was blasting related to numerous active construction sites in the region. However, one developer told NanaimoNewsNOW it's unlikely normal construction site blasting would have reverberated across the region the way it was described by people Tuesday morning. The City of Nanaimo, District of Lantzville and Regional District of Nanaimo said they were not aware of any scheduled blasts or explosions beyond normal construction work. The provincial Ministries of Forests, Mining and Transportation had no official cause on the books, although several ministry staff in the region reported hearing the noise. John Gregson, with Nanaimo construction giant Copcan Civil, said he heard the blast and confirmed it was not related to any of his operations. He said it did however sound like blasting possibly related to forestry operations in the bush. "In the right circumstances the noise can travel a long way," Gregson said. "It sounded like it came from behind Mount Benson." Perhaps the thunderous noise was some sort of space activity? Dr. Gregory Arkos, of Vancouver Island University's department of physics, engineering and astronomy, said he can't be sure, but it's not out of the question. 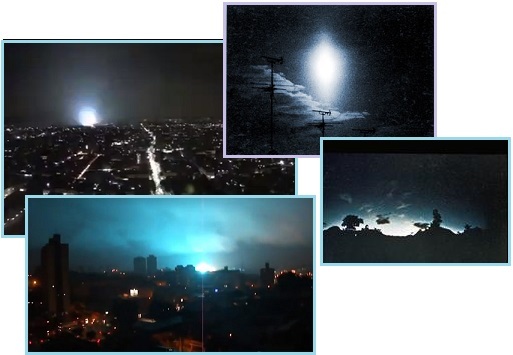 "It could have been a meteor or bolide passing by overhead and breaking the sound barrier, a lot like the Russian Chelyabinsk event of a couple of years ago. But without more data it's hard to say for certain," Arkos said. "Part of the problem may be it might have been heard over a wide area, which could mean the actual event occurred some distance away from Nanaimo." With no clear answers to the question seemingly plaguing the entire mid-island region on Tuesday, the topic was ripe for speculation. Springfield Township police say there have been multiple reports of loud explosions, with the most recent one happening shortly after 4 a.m. on Tuesday. There have been no reported injuries from these loud explosions. CBS3 has confirmed that along with the Pennsylvania State Police, the FBI is now on the case as well. Authorities are asking that if you notice anything odd, do not investigate for yourself and call police immediately.